Ella is a household name due to her TV career and when she is discovered to have broken the law, things spiral downwards at an alarming rate. Suddenly a stay-at-home mother of three and realising that she has very few allies, she wonders if she should reveal her secret to ease her pain. Conor is Ella's friend since their college days. He owns a bookshop, a lifelong dream, but the recession is hitting him hard and he is struggling to keep his business afloat. The death of his partner has caused immeasurable pain, and he wonders if he will ever feel happiness again. 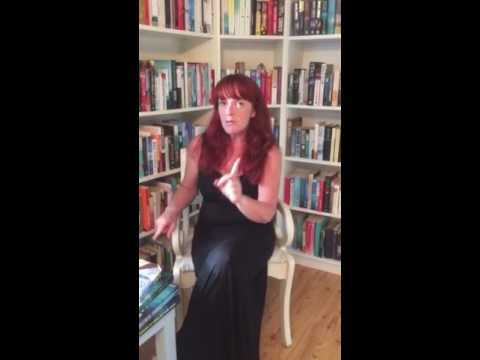 Rachel is a social worker, madly in love and dreaming of the future. Unfortunately, her partner has different views on what this future should hold. She needs to make a decision before it is too late. Eight year old Jack loves to read. His life is a mess and he needs company. Like a moth to a flame, Jack is drawn to Conor's bookshop and the two soon find solace in their comparable silence and solitude. This is the story of how human interaction is essential to a persons wellbeing. We all think we are strong enough to go it alone at times, but two heads are better than one and sometimes all we need is a listening ear, a shoulder to cry on or just to know that we are not alone. 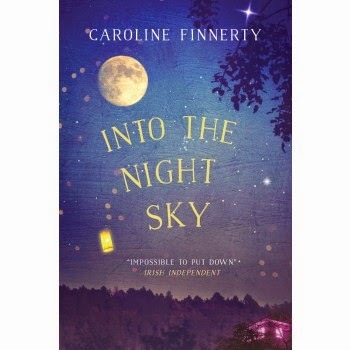 I am a great fan of Caroline Finnerty and seriously could not wait to get my hands on a copy of this. I even gave in and ordered a copy online from Poolbeg so I wouldn't have to wait for the official launch party. I have NO willpower when it comes to buying books. Published by Ward River Press, a new division from Poolbeg which features non genre-specific titles, I knew this would be my kind of book. I wasn't wrong. The characters were just wonderful, with my favourite being Conor and little Jack. The dialogue between Jack and adults was spot on ( sometimes this can be forced and contrived in fiction ) and I felt I could hear his voice as I read. Conor was charming but cool, sad and intense and a man I would actually like to know in real life. The two characters reminded me of About a Boy by Nick Hornby, in that they actually brought out the best in each other, without them realising it. I didn't connect as well with Ella, the disgraced TV star, I'm not sure why. Her depression and subsequent decline is a familiar story, but as she lived in her own protected world, with no financial restraints of lack of babaysitters, I just didn't feel sorry for her at all. Not many people have the cosiness of her life, so my sympathies were with her eldest daughter, but not with her or her distant husband. Rachel is someone I could recognise, a social worker under pressure but who still has feelings. Each case affects her and some more than others. Her personal life was irrelevant, in my opinion, but did bring her character more substance. The strongest parts of her story were where she dealt with Jack's mother and tried to do the best for Jack. Having to remain non-judgmental is probably the hardest role for a social worker and in this case, knowing the outcome in advance, makes things all the harder. Into The Night Sky is published by Ward River Press/Poolbeg and is available in trade paperback or ebook format.